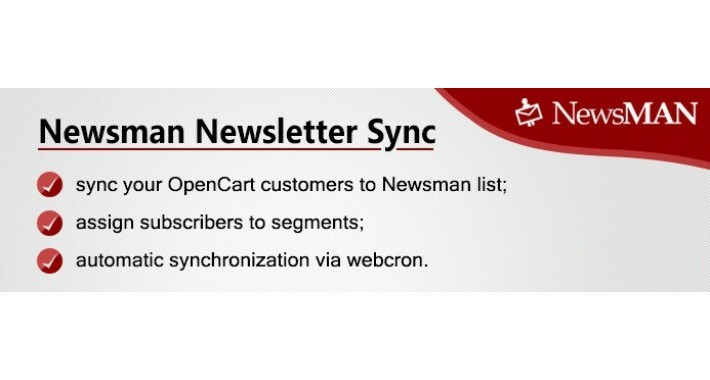 Sync your OpenCart customers / subscribers to Newsman list / segments. This is the easiest way to connect your Shop with Newsman (https://www.newsmanapp.com). 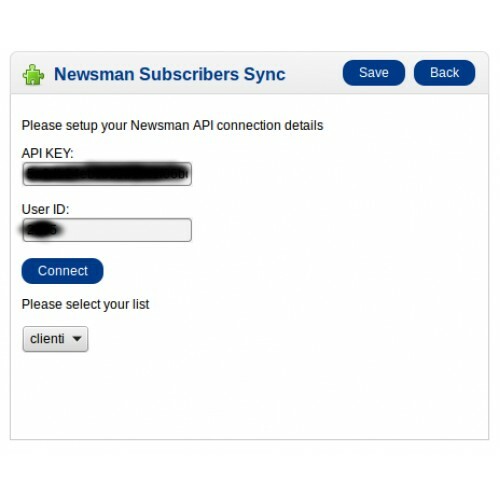 Generate an API KEY in your Newsman account, install this plugin and you will be able to sync your shop customers and newsletter subscribers with Newsman list / segments. All your groups will be listed and you can select the Newsman Segment to map to. 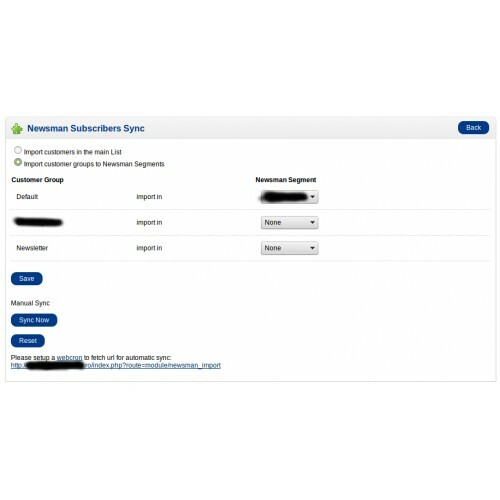 You can also choose to ignore the group or to upload the group members but include them in any segment. For the segments to show up in this form, you need to set them up in your Newsman account first.